In terms of overall criteria, I’d like to find tires that are reasonable for street driving and also for RallyX. The alternative is to bring the rally wheel/tire package separately and put them on at events, but I’d rather find something that works okay for both dailying and rallying. Cheap and effective for RallyX, but I live in SoCal and it’d be a stretch to daily on these even in the winter. Most events are in hot desert locations and I’m not sure these would be ideal. 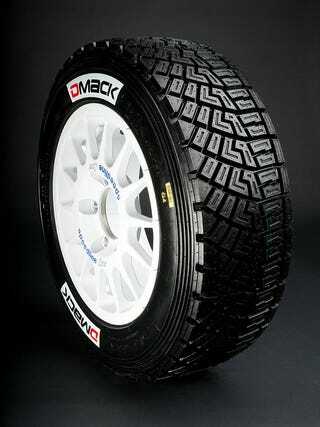 They do fit though, with 195/60R15 available. I like the General Grabber AT2s, but they’re too big. 205/70R15 just won’t fit. At a 27" overall diameter, they match the diameter of my fenders and would rub everywhere. I can’t seem to find tires like this in a smaller size, from any brand. If a smaller A/T tire is available, that’s probably my first choice since it would suit both daily and rally duties pretty well. Pictured at the top of the story, I could order some expensive (and hard to determine if street-legal) competition tires. They’re available in 195/65R15 and would fit perfectly, but don’t satisfy the daily-driving criteria. Also, 3x the price of snow tires and possibly less utility. Is there anywhere else to look for solutions to this dilemma? I want all-terrain tires with less than 25" diameter, but I can’t find any online.